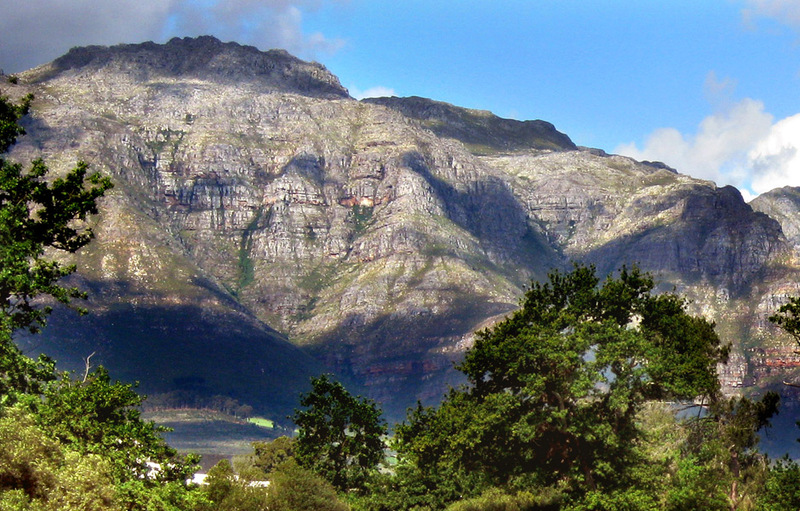 You know you’re in wine country when you find yourself teeing-off onto fairways lined with beautiful vineyards, olive groves and lavender fields and following the meandering oak-lined Blaauwklippen River as it weaves its way through the valley, coming into play at various intervals and affording you magnificent views of the surrounding mountains. 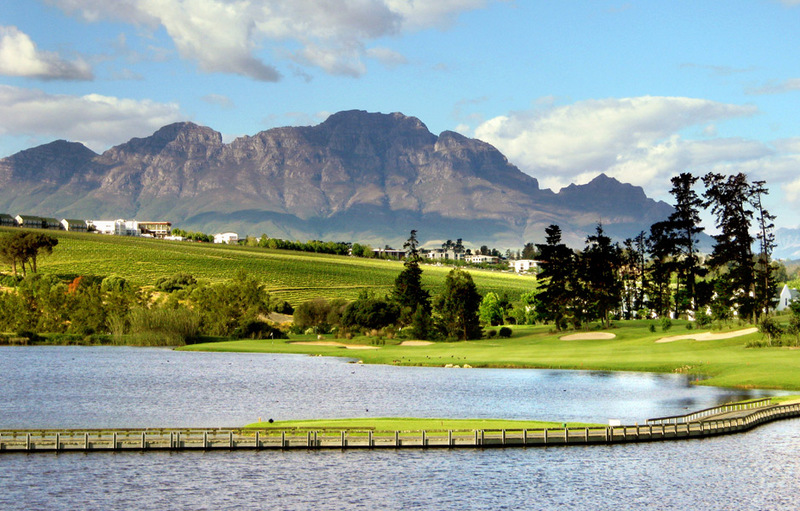 De Zalze Golf Course is one of a handful of golf courses worldwide that plays out across a working vineyard and winery. The course takes its name from the early wine farmers who produced wines on the three adjoining farms, namely Kleine Zalze, Groote Zalze and De Vleie and has historical buildings dating back to 1838 on the estate. It is currently ranked 30th on Golf Digest’s Top 100 for 2012. 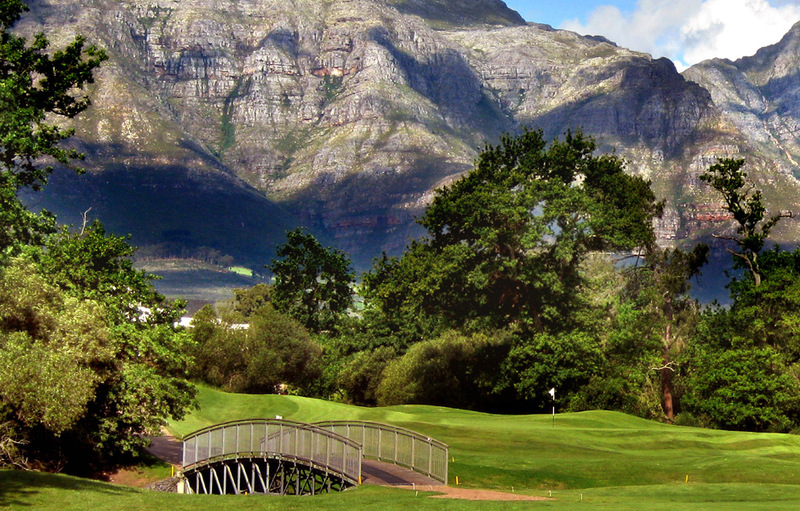 Built in 2001 and designed by renowned golf course architect Peter Matkovich, De Zalze Golf Course is consistently ranked in the top 30 courses in South Africa, and amongst the top 4 courses in the Cape Town / Winelands region. 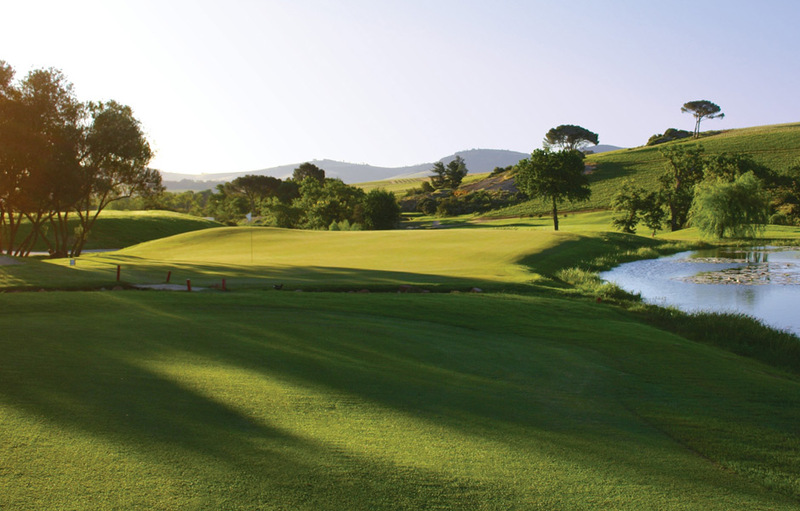 It is a challenging course with wide fairways and large and often quick greens and a number of water hazards. The more accurate your strokes, the happier you’ll be with your final score. The signature 13th hole takes you across a boardwalk to a selection of tees in the heart of a dam, where a 299 meter hole doglegs left along the shore of the dam and a simple pitch should land you on the kidney-shaped green, which is bunkered on the right, and has water all the way up the left and around the back making for a challenging target. 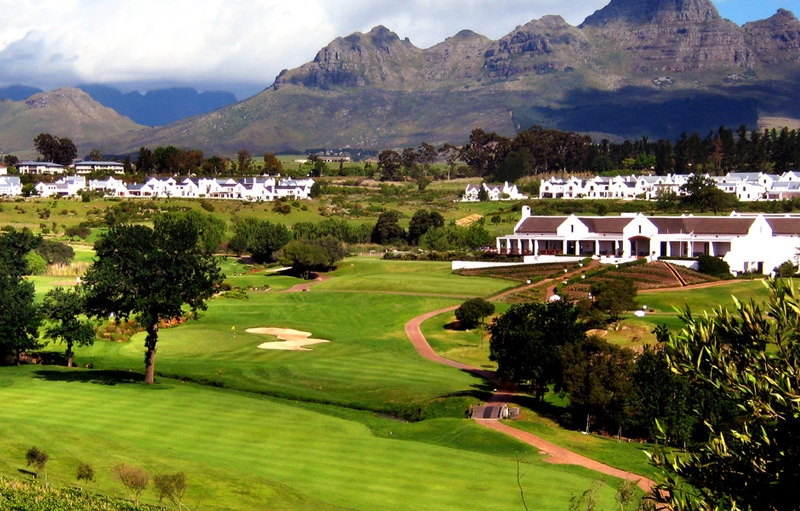 De Zalze has hosted a number of national golf events including the SA Amateur, SA Senior Amateur and SA Mid Amateur championships since 2005. In 2006 it hosted the 2006 World Amateur Team Championship (Eisenhower & Espirito Santo Trophies). 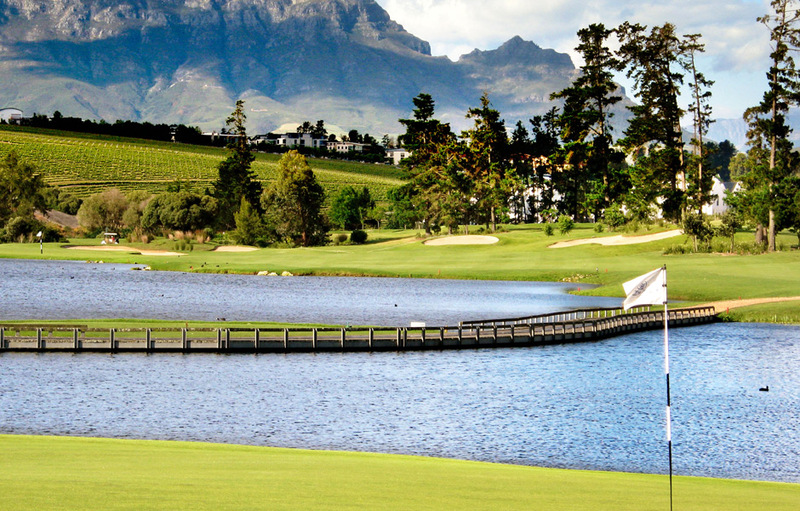 The course has received the “Five-Star Golf Experience” from Compleat Golfer joining the elite 20 courses to achieve this out of more than 450 courses across South Africa. It is also the first golf course in the world to be recognised for adherence to Fair Trade principals and criteria and is Fair Trade certified. After an energetic day’s play you can relax and enjoy a meal at the Terrior Restaurant at Kleine Zalze, which is regularly voted amongst the top 10 in South Africa.